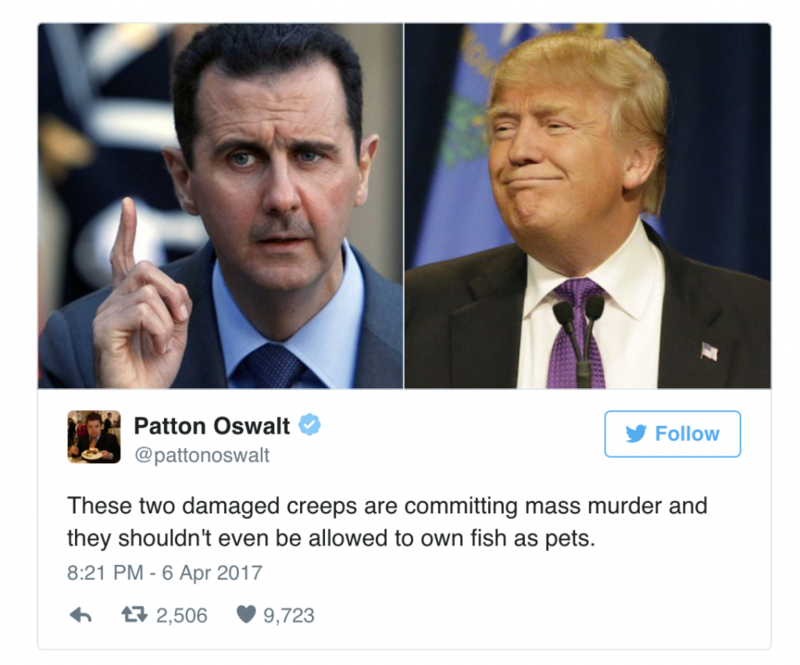 Idiot Hollywood Celebrity Just Accused Trump of Committing “Mass Murder in Syria"
Comedian Patton Oswald just went on Twitter and accused President Trump of committing “mass murders in Syria”. 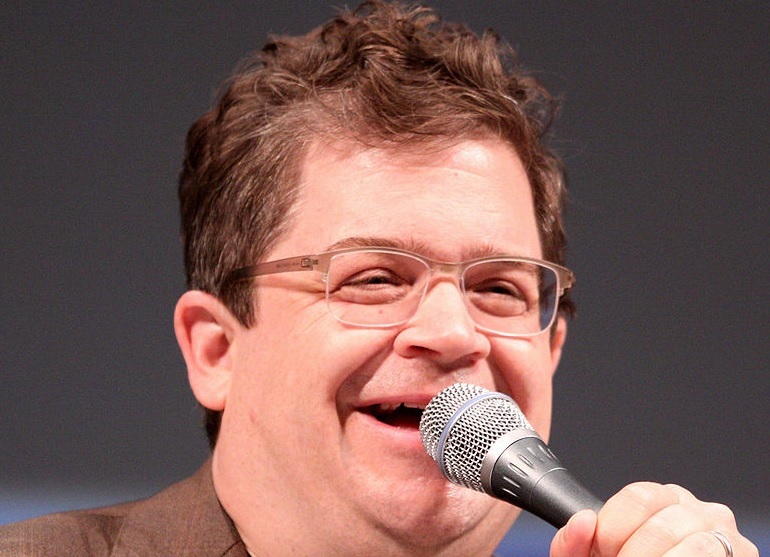 This idiot hollywood comedian LITERALLY just equated Trump and Assad, yes Trump the leader of the free world, is know apparently a brutal dictator. Below is a sampling of the other Hollywood stars reaction to the American airstrikes in Syria. Rest assured, if Hillary Clinton were president and approved of the airstrikes, these celebs would be singing her praises. You know it’s true.